32. 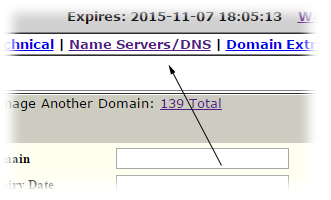 How does deletion of expired domain name works? -Fill out our Second Transfer Request Form for another transfer or refund. -Check the "Move all domains associated with this profile"
-Type your email address or domain name. Your login and password will be emailed to the current Admin Contact listed on your account. 11. How to retrieve the login and password for your names, when the admin contact email address is no longer valid. -Click "Admin, Billing, or Technical"
-Click "Change Ownership of Domain"
-Type the new "user name"
-Click "Change the ownership of these domains"
-Type the new username and password, and confirm password. This will change the password of all names associated with this profile. -Check "OPTION B: Change General Information Associated with domain(s)" and click next. -Check "Change the Nameservers for these domains"
-Type "Primary and Secondary nameservers"
NOTE: This procedure requires an IP from your hosting company or ISP. nameserver which is based on yourdomain.com "click here"
-Type your server hostname (for example, ns1.yourname.com) and type your server IP address. 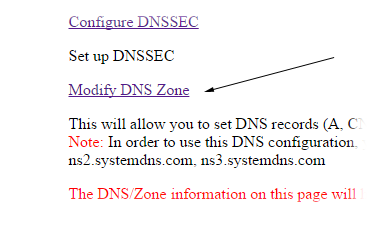 NOTE: This procedure requires an IP from your ISP. -View snapshot of the correct configuration here! 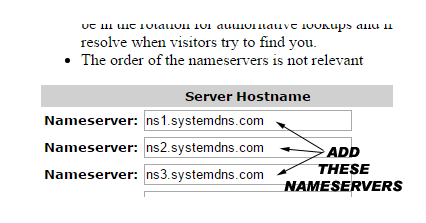 NOTE: This procedure requires nameservers from your hosting company. -Check "OPTION C: Activate NamesAreCheap Advanced Redirection"
-Check "OPTION A: Change Advanced Redirection for domain(s)"
-Choose "OPTION A: Change Advanced Redirection for domain(s)"
-You're done. Just wait for the DNS to propagate. -Follow instructions 28 and look for the CNAME field.